For adults looking to play, there’s plenty to do in the Mile High City. There is so much to see and do in and around Denver that it’s impossible to try to squeeze it all in during three days. But, here are a couple of suggested itineraries for adults, with a few alternate options. These ideas will serve as a head start to planning a long weekend in the Denver. 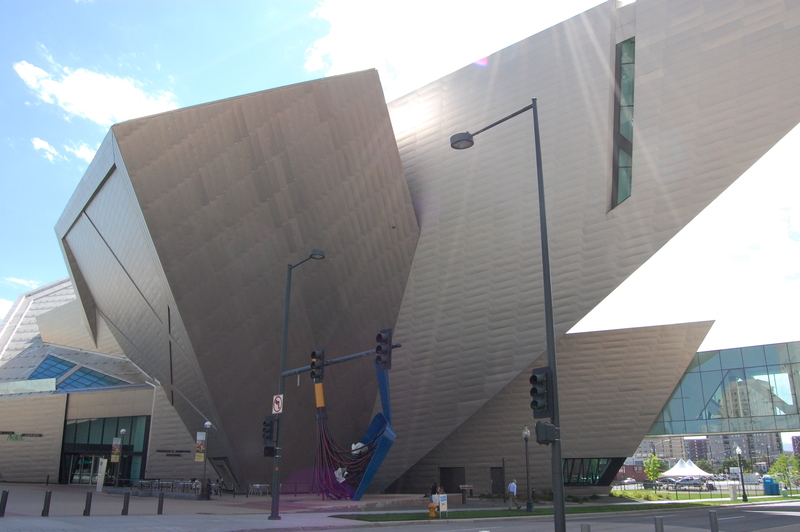 Spend your first day exploring the great cultural and historical opportunities Denver has to offer.The Denver Art Museum is a great starting point. An expansion designed by famed architect Daniel Libeskind has made it possible to spend a full day in the museum, particularly if there are any special temporary exhibits on display. But, make sure to save some time for other excellent downtown possibilities. To learn more: denverartmuseum.org. Grab a quick LUNCH at one of the cafes near the art museum on your way to the Colorado State Capitol: colorado.gov. You can also visit the Molly Brown House: mollybrown.org. The Byers-Evans House Museum is also a great option: coloradohistory.org. Each location offers a great historical perspective for Denver, as well as Colorado. DINNER SUGGESTION: For a great local meal with a German flair, stop by Cafe Berlin. The meals are delicious and homemade. Plan ahead though because reservations are strongly recommended for this popular spot. To learn more: cafeberlindenver.com. After supper, take the short walk to the Denver Center for Performing Arts to see a show. The cost varies by performance. To learn more: denvercenter.org. Another option, if it’s the first Friday of the month, would be the free Denver Art Walk at the galleries along Santa Fe Drive. It’s generally located between 6th and 10th Streets. Many galleries throw open their doors in the evening to welcome art enthusiasts looking for a deal, or just a nice evening out on the town. 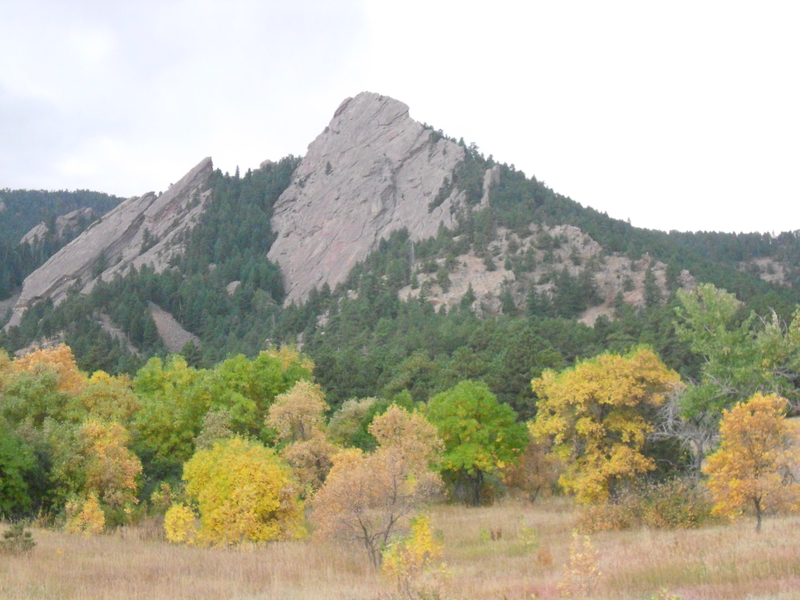 Colorado is an ideal state for outdoor enthusiasts, and Boulder’s Chautauqua Park, just a short drive to the northwest metro area of Denver, is perfect for a morning away.It offers stunning views of the mountains, as well as the eastern plains. There are a great number of hikes that could keep the most energetic busy for days on end. It’s without a doubt a great location to appreciate the beauty Colorado has to offer. Cost: Free. To learn more: bouldercolorado.gov. LUNCH SUGGESTION: After a strong hike, stop by Boulder’s Dushanbe Tea House for lunch and a cup or two of their excellent tea. The tea house was a gift to the people of Boulder from the people of Dushanbe,Tajikstan after their mayor visited their sister city of Boulder in 1987 for the first time. Several artisans worked on the décor, which was transported to Colorado from Central Asia. To learn more: boulderteahouse.com. Spend the afternoon walking the city streets of Golden and touring the Coors Brewery. The tours are done at your own pace with an electronic guide.At the end, as well as during the tour, free samples of the many beers that the Miller-Coors company offers are available for adults. Cost: Free. To learn more: millercoors.com. DINNER SUGGESTION: Stop at the Old Capitol Grill in Golden for supper. It serves up tasty and affordable meals in the first capitol building for the Colorado Territory. To learn more: oldcapitolgrill.com. After dinner, try to catch a performance at the Red Rocks Amphitheater in Morrison. The natural amphitheater is considered to be one of the best places in the world to see a concert. So, if you’re lucky enough to have the opportunity to catch a show there, seize the chance to partake in what will undoubtedly be a spectacular experience. Cost: Varies by performance. To learn more: redrocksonline.com. Start the morning at the Cherry Creek Shopping Center as well as Cherry Creek North. The shops are one of the most visited tourist destinations in the state, and a great way to spend some time enjoying a day out. Cherry Creek Shopping Center: shopcherrycreek.com. Cherry Creek North: cherrycreeknorth.com. LUNCH SUGGESTION: Grab a burger at the nearby Cherry Cricket in between shopping sprees. It’s known as one of the best burger restaurants around with an impressive assortment of topping options.If baseball is in season, head back downtown from Cherry Creek for an afternoon Colorado Rockies Game at Coors Field. Colorado Rockies Ticket Cost: Varies by Seat Coors Field Tour Cost: $7 (Adults), $5(Children). To learn more: mlb.com/col/ballpark. If it’s the offseason, or the Rockies are out of town, take a stroll through Denver’s Confluence Park and see where the city came to life – the banks of the South Platte River. DINNER SUGGESTION: If you’re feeling adventurous, check out the famed Buckhorn Exhchange, Denver’s oldest restaurant. Buffalo, elk, rattlesnake, and the infamous Rocky Mountain Oysters are all on the menu. The atmosphere is truly one of a kind. To learn more: buckhornexchange.com. 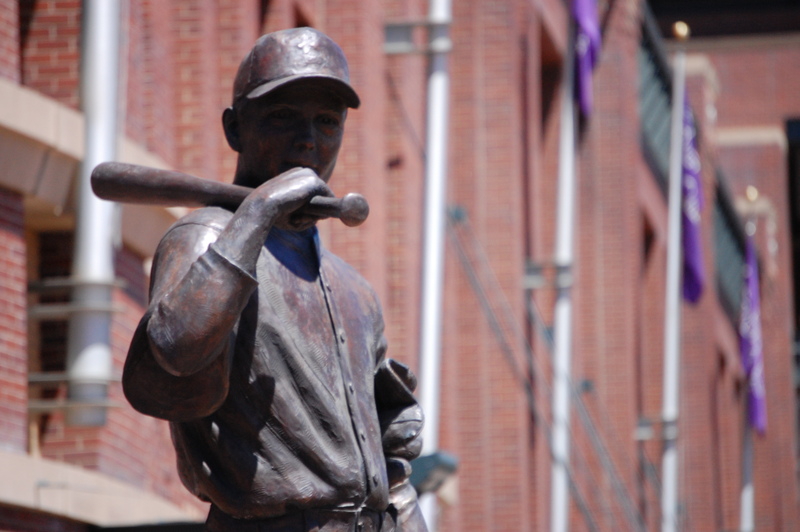 *Colorado is well known for a great variety of professional and collegiate sports, so catch a different sporting event in town if you were unable to get to a baseball game earlier in the day. Otherwise, catch up with a show at the performing arts complex, or enjoy the nightlife in LoDo. The Falling Rock Taphouse is a favorite among locals looking to unwind with a good beer. To learn more: fallingrocktaphouse.com. This story originally ran on CBSDenver.com.